The American soldier “captured”* by the Taliban has been identified as Pfc. 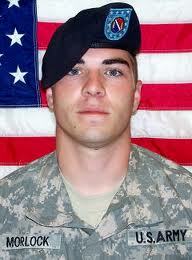 Bowe R. Bergdahl, of Hailey, Idaho. He was assigned to the 1st Battalion, 501st Parachute Infantry Regiment, 4th Brigade Combat Team, 25th Infantry Division, based at Fort Richardson, Alaska. The propoganda video released by the Taliban, below, is – for lack of a better word – troubling. Troubling in two ways: First, it conjurs images of Vietnam and the propoganda videos disseminated at that time; Secondly, and more importantly, are concerns that Pfc Bergdahl will undergo painful, humiliating, and disturbing interrogations by the Taliban. Precisely why I, and many others, are concerned by the precedents set by our own country during the Bush Administration regarding torture. As I’ve documented before, Iran has waterboarded it’s own citizens. How can we protest if this young man is tortured by the Taliban? 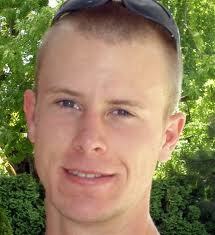 The circumstances of Bergdahl’s capture weren’t clear. On July 2, two U.S. officials told the AP the soldier had “just walked off” his base with three Afghans after his shift. The officials spoke on the condition of anonymity because they were not authorized to speak on the record. I can only hope there’s not more to this than what we’re being told.